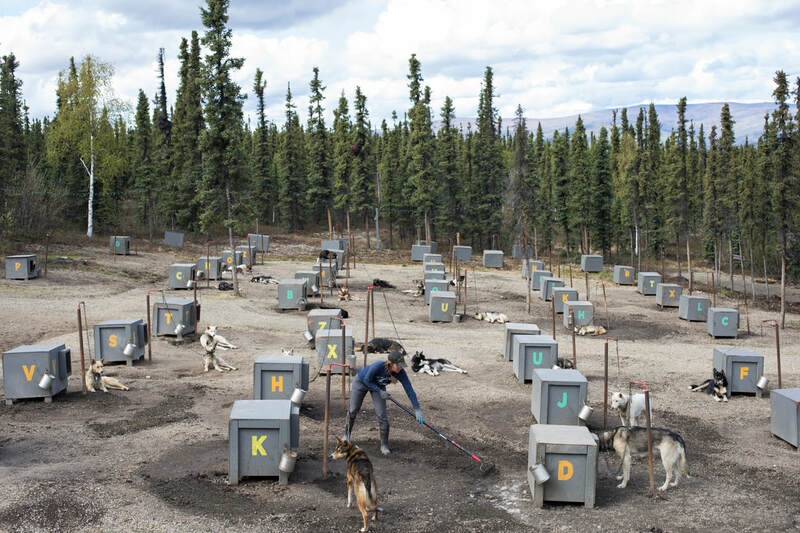 KattiJo Deeter cleans up the dog yard at Black Spruce Dog Sledding in Fairbanks, Alaska. The business operates out of the home she built with her husband. 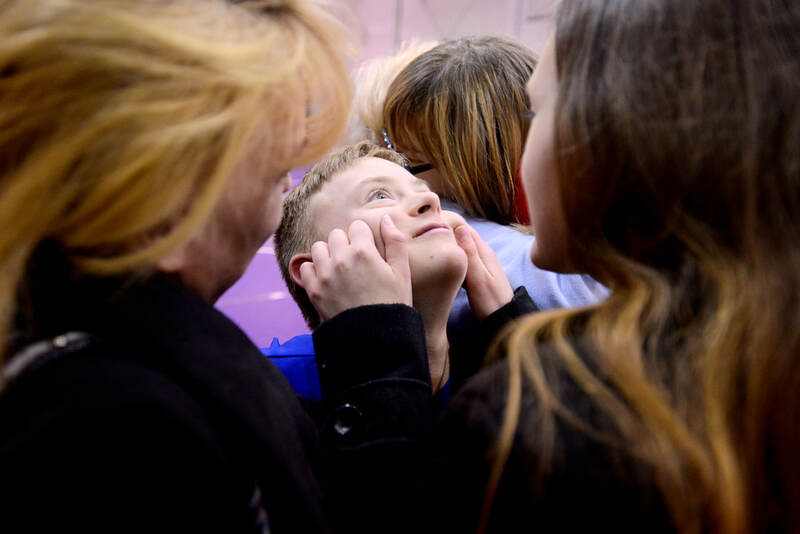 Mackenzie, who has Doose Syndrome, rests after experiencing a drop seizure during a physical therapy evaluation at New York Mills Elementary School on May 28, 2015. 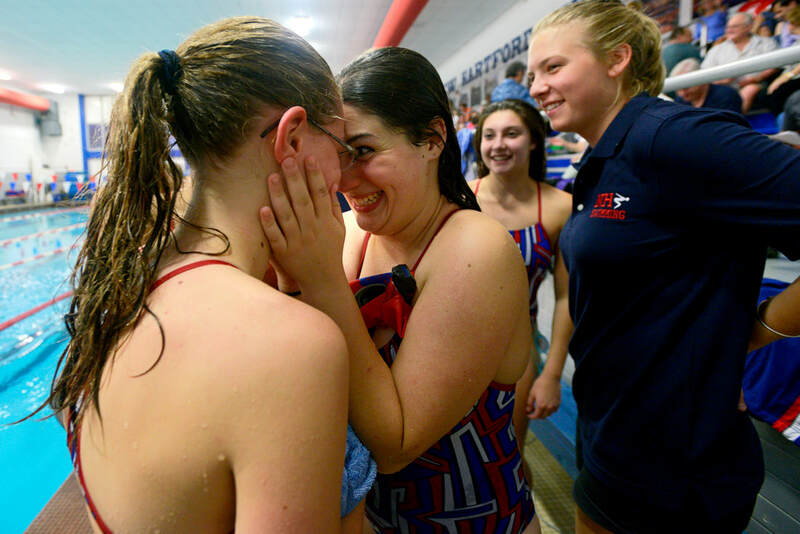 "It feels like my body works without me," Mackenzie said. Thoo Paw watches as Hae Nay Gay, 5, middle, of Utica shows off her birthday dress during her first birthday party in America on Saturday, Dec. 29, 2012. Gay and her family are Burmese refugees that came to Utica from Thailand. 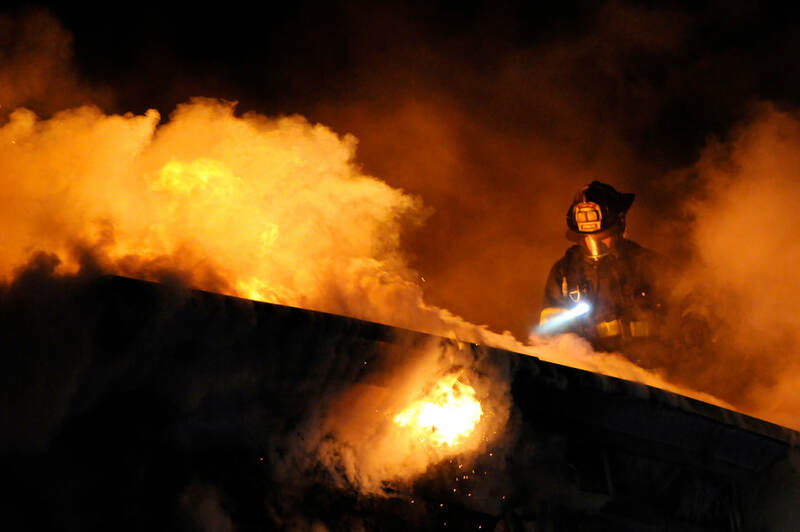 A Utica firefighter battles a blaze on top of the roof at 763-65 Bleecker St. Thursday Jan. 8, 2015. President Donald Trump speaks to supporters at Griffiss International Airport in Rome, N.Y. Tuesday, April 2, 2016. 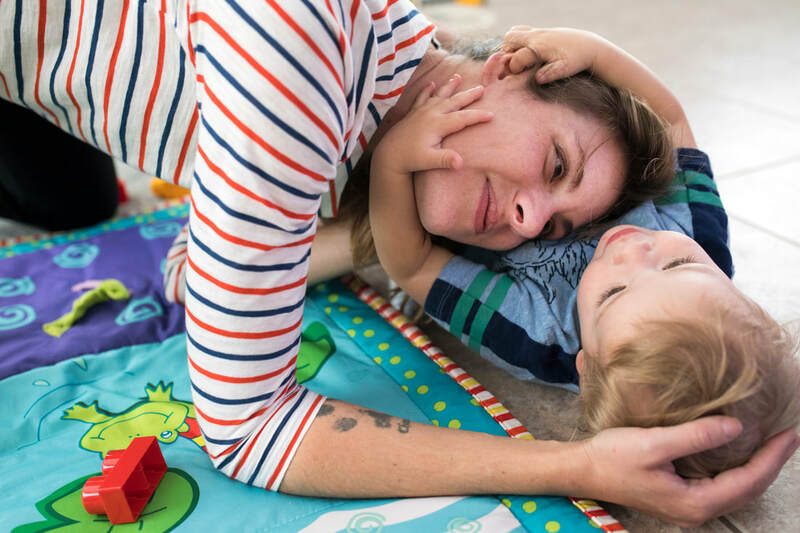 Cassidy Weyel takes a break from her work to play with her son, Aurelius Fewell, at their home in Tampa, Fla. Childcare is her second biggest cost after her mortgage. 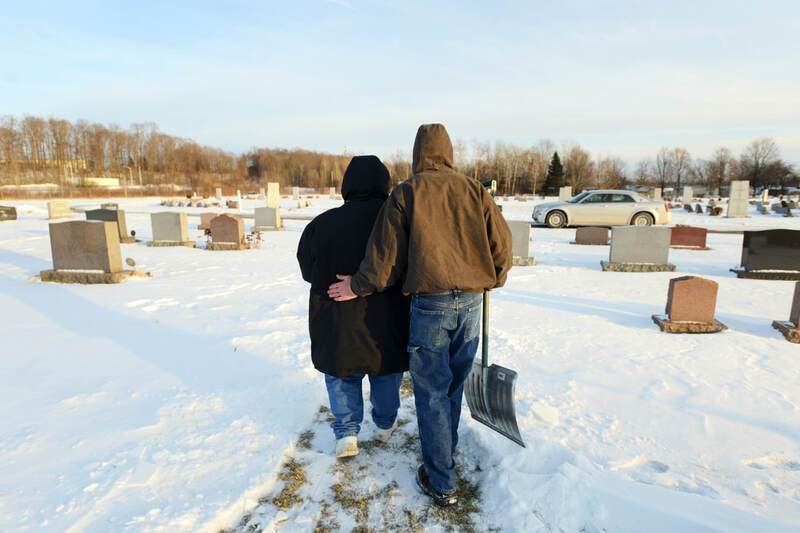 Amy Accuri visits her son almost every single day with the help of her boyfriend, Steve Thurston, who shovels a path to his grave for her. Ashton Fox, 8, died of leukemia in 2012. "I tell him good morning, good afternoon, goodnight, I miss him," Accuri said. 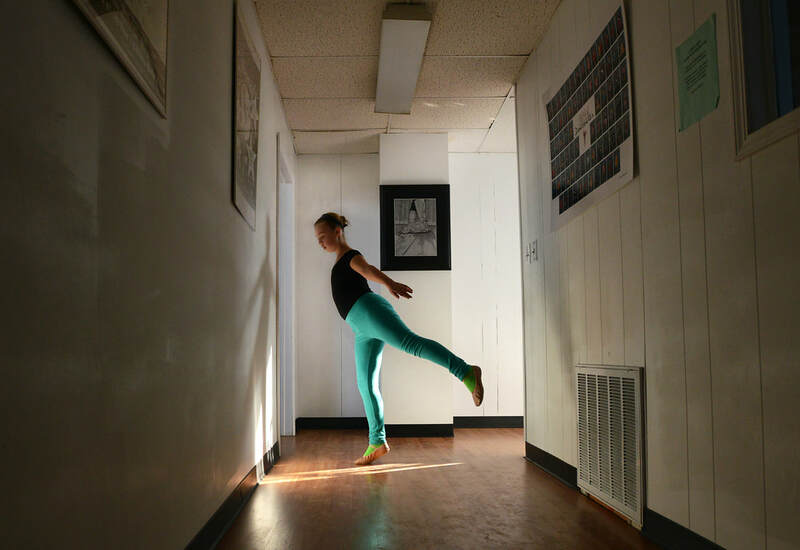 Jamie Kalman gets into character as Spikey Van Dykey prior to a drag king performance at Iberian Rooster in St. Petersburg, Fla.
Jenna Deep practices ballet in the hallway before trying out for the Leatherstocking Ballet's performance of "The Lion King of Africa" in Utica Saturday, Jan. 10, 2015. Somali Bantu youth read books at the Mohawk Valley Somali Bantu Community Association. Firefighters pull the body of a child out of a burning building at 11 Osborn Road in New Hartford Saturday, Feb. 15, 2014. 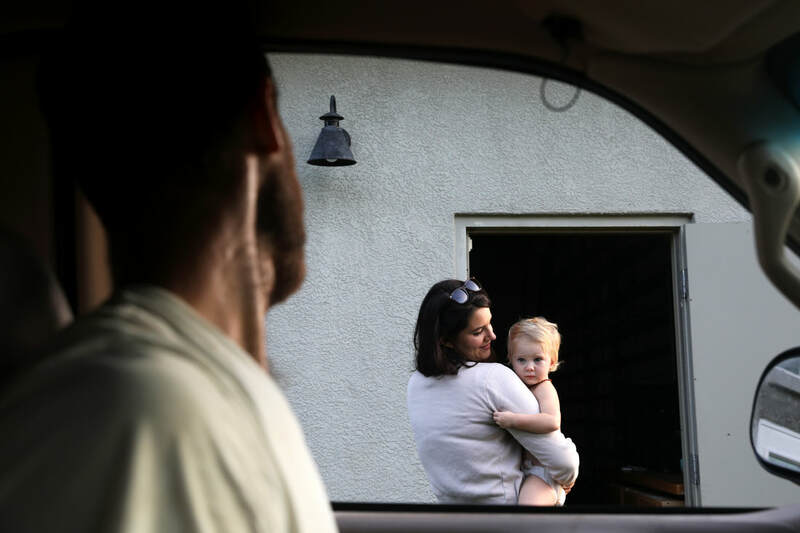 Tim Clarkson, owner of Grove Ladder Farm, stops his truck for a moment to say good morning to his wife, Chelsea Clarkson, and youngest daughter, Guinevere, as he does his morning chores around the family farm in Sarasota, Fla.
From left, New Hartford swimmer Cassie Johnson is embraced by teammate Liz Hill after competing in the diving portion of the swim meet against Jamesville-DeWitt at the New Hartford Senior High School pool Tuesday, Sept. 29, 2015. Utica College football player Josh Reed stretches at Utica College football practice Friday, Aug. 21, 2015. Adrean Post player Michael Zaino, left, takes third base as Clinton County Post player Ryan Whalen tries to tag him out during the District V New York State American Legion Baseball Championships at Murnane Field Tuesday, July 26, 2016 in Utica, N.Y.
​Connor Wilks, 14, who has down syndrome, receives affection from his mother, Gayle Wilks, left, and sister, Alyssa Wilks, right, after a Little Falls wrestling matching against Poland. 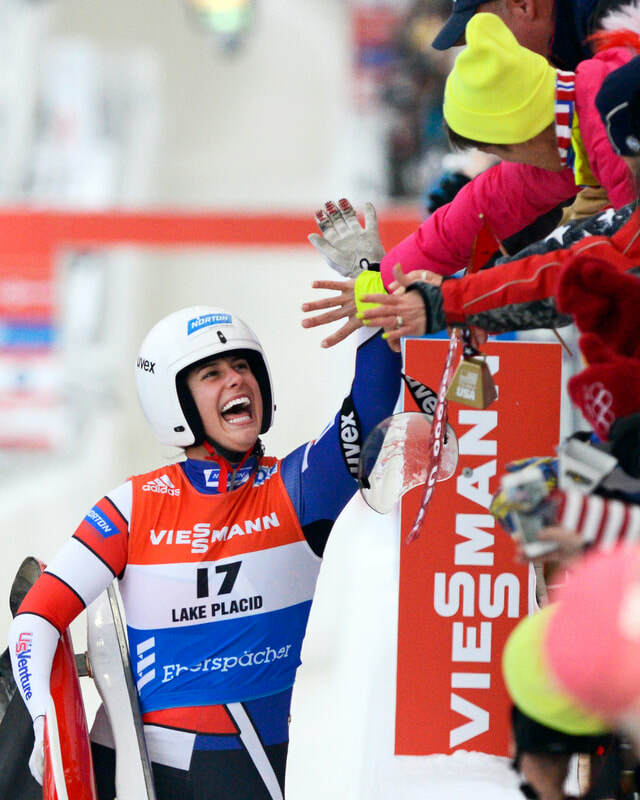 ​Emily Sweeney reacts to taking second place during a World Cup Luge race for women's singles at Mount Van Hoevenberg in Lake Placid Saturday, Dec. 5, 2015. 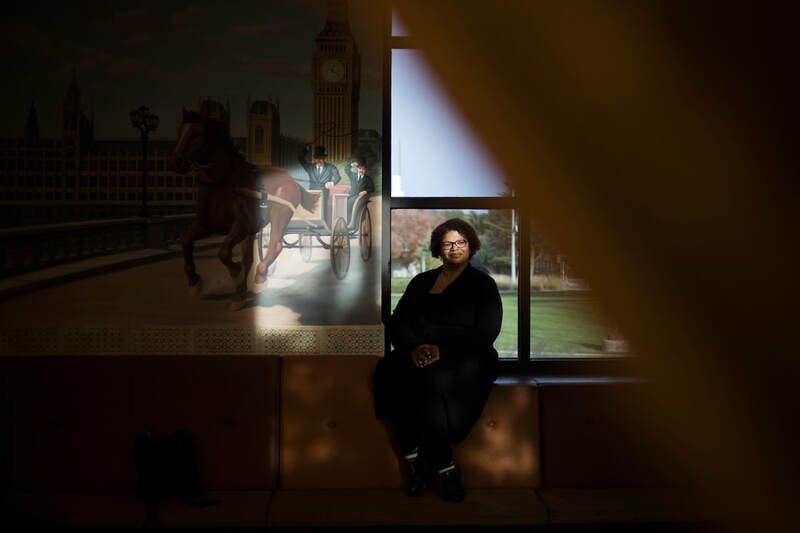 "I was meant to be a librarian,"Ayanna Gaines says, a public librarian at Camarillo Public Library in California. "I love helping people." 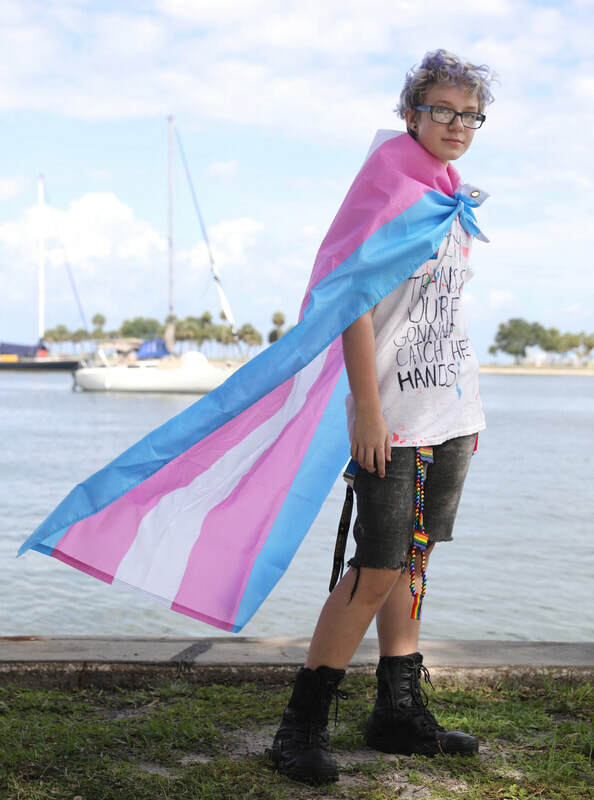 ​Lance McAllister, 13, identifies as a transgender male. He's been going to the St. Petersburg Pride Parade for two years. "(Pride) means being yourself and loving it." 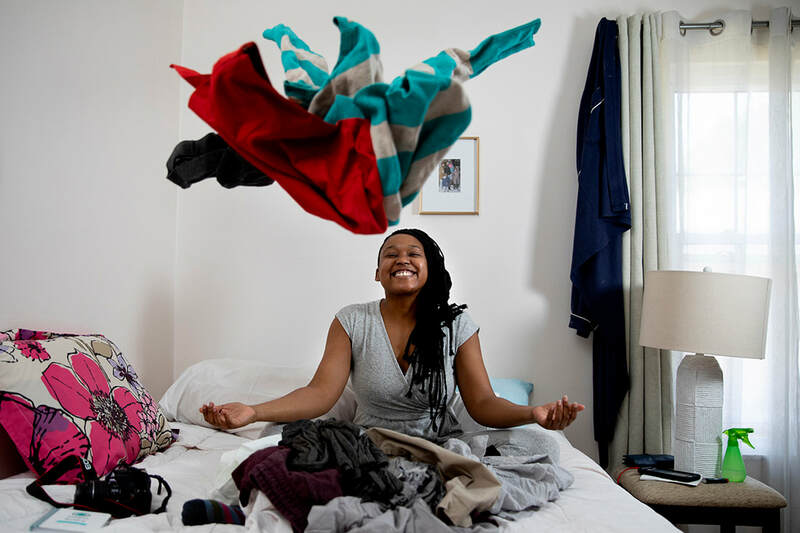 Farrah Daniel went through her clothes before deciding what not to keep in St. Petersburg, Fla. Farrah adopted the Marie Kondo method to organize her home. 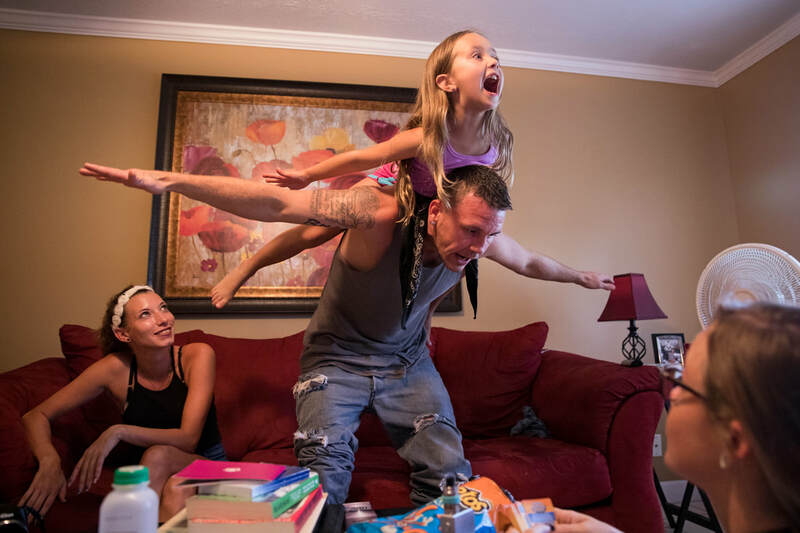 "I wanted my stuff to be my stuff," Farrah said. "Honestly, it's like breathing again. I feel like I'm meeting Farrah again," she said.